Homes For Sale In Homosassa Florida Real Estate and Lots and Land For Sale In Homosassa FL. - CENTURY 21 J.W. Morton Real Estate, Inc.
Homosassa Florida is located in the southern section of Citrus County on the Gulf of Mexico. 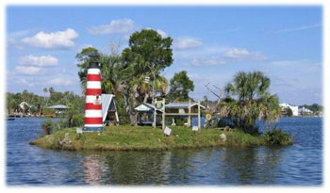 Homosassa consists of "Old" Homosassa, a region rich in history and colorful characters. And there is Homosassa Springs, known around the world for the native manatee population. 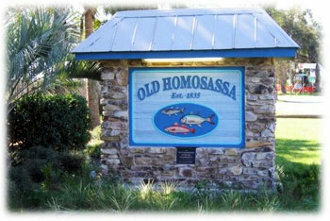 Old Homosassa stretches along Yulee Drive named after the Yulee Family who settled this area. The Yulee family built a sugar mill here to process sugar cane during the civil war era and supplied, sugar and molasses to the confederate troops during the war. 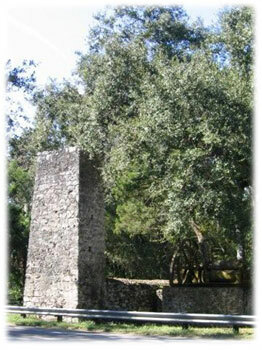 The old sugar mill ruins of Homosassa are still here as a tourist destination. The nearby community of Sugarmill Woods was named after it. Homosassa Florida is home to many spectacular waterfront communities including The Tradewinds, Riverhaven Village, Gasparilla Cay and many others. The residents of these waterfront homes in Homosassa enjoy excellent freshwater fishing in the Homosassa River and exciting saltwater fishing out in the Gulf of Mexico. Tarpon fishing off the coast of Homosassa is world renowned. 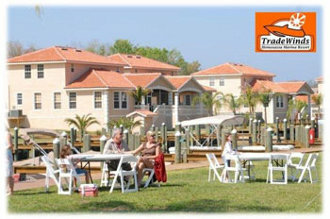 The new development called The Tradewinds Homosassa Marina Resort offers immaculate waterfront homes in a Mediterranean style with backyard boat slips via private marina. This resort style waterfront community in Homosassa also offers a public swimming pool, a tennis court, a fitness center and the Club House with bar and grill. Homosassa also offers some of the best seafood restaurants in Citrus County. from the Homosassa Riverside Resort and Crab House Restaurant to Neon Leons Zydeco Steak House with Cajun style seafood and everything in between. There is even the annual Homosassa Seafood Festival in November which draws thousands of people each year to enjoy the bounty of the sea. Homosassa Springs in home to the Homosassa Springs State Wildlife Park which is a refuge for many native Florida animals including wounded and recovering manatees. The most popular attraction here is the "Fishbowl", an underwater observatory where the manatees and thousands of fish swim right up to the glass enclosure. Other animals at the Homosassa Wildlife Park include the rare native Florida panther, black bear, alligators, playful otters, and many others including dozens of species of native Florida birds including flamingos and bald eagles. Outside the park the spring fed Homosassa River is home to many manatees in the wild. These docile mammals are very friendly. 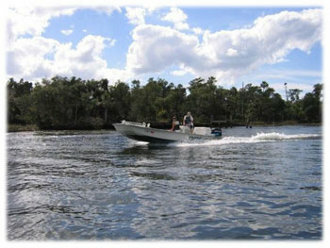 There are many local dive and snorkel shops in Homosassa where you can rent boats and snorkel equipment or go on a guided manatee tour and even swim with the manatees. If you would like more information on how you can join the nautical lifestyle in your own waterfront home in Homosassa Florida, contact us today!